John Lanchester, whose latest novel is “The Wall,” is interviewed by Richard Wolinsky. The Wall takes place in a very possible future in which the world’s beaches have disappeared as the planet has warmed and oceans have grown. Taking place in an unnamed country, which is clearly England, a wall has been built not only to protect the land from the rising seas, but to keep out refugees fleeing no longer inhabitable countries. The protagnist is a young man who must guard the wall, and if it’s breached, he is forced out of the country. 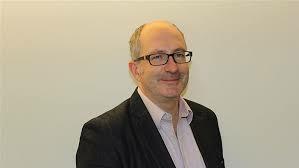 John Lanchester is a novelist and essayist who has written for The London Review of Books, the Guardian and other publications.